vitalink is a co-founding partner of HBCUgrow. 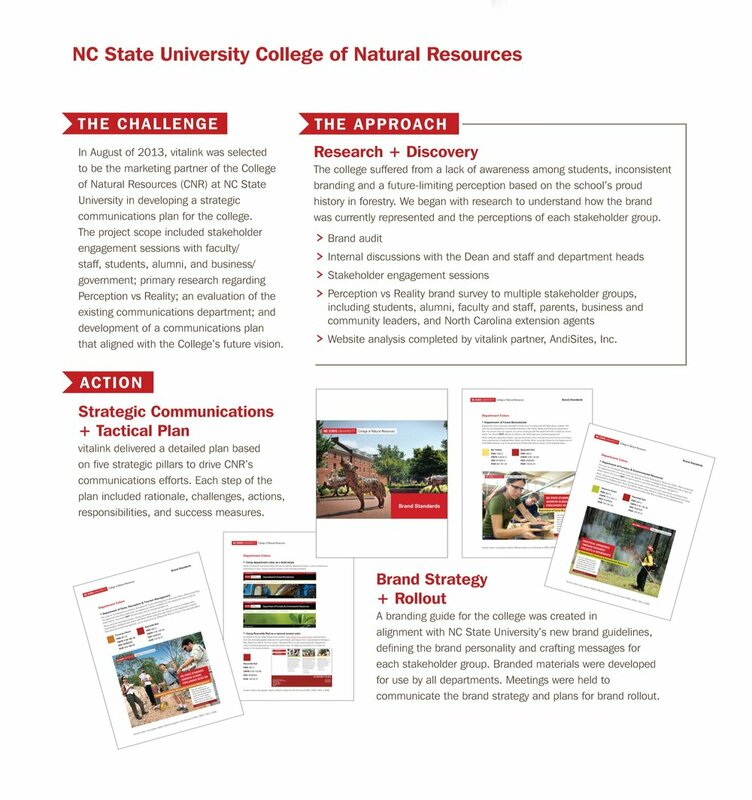 HBCUgrow helps Historically Black Colleges & Universities (HBCUs) make the most of their website, brand + marketing campaigns. Visit the site to learn more about HBCUgrow + LEAD Conferences. 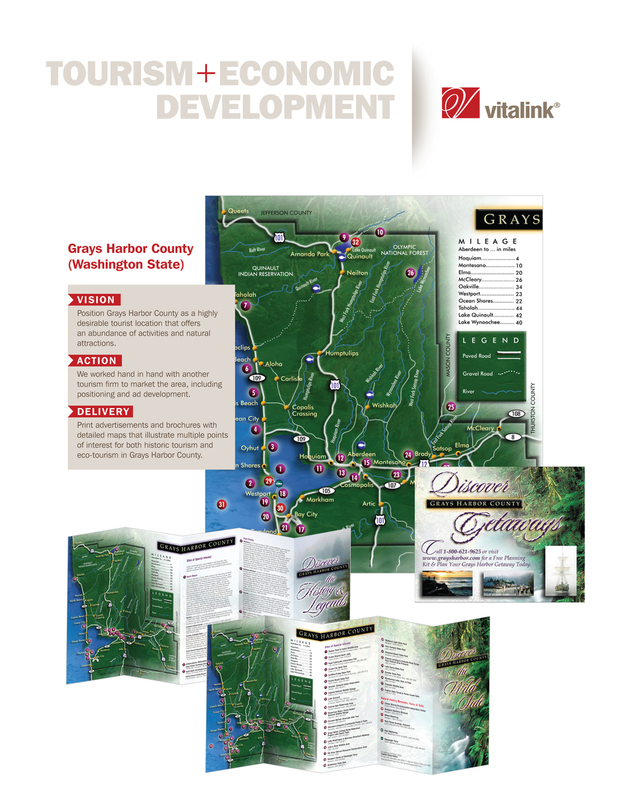 Click below to see examples of business; government and non-profit public awareness + action campaigns; and tourism + economic development. 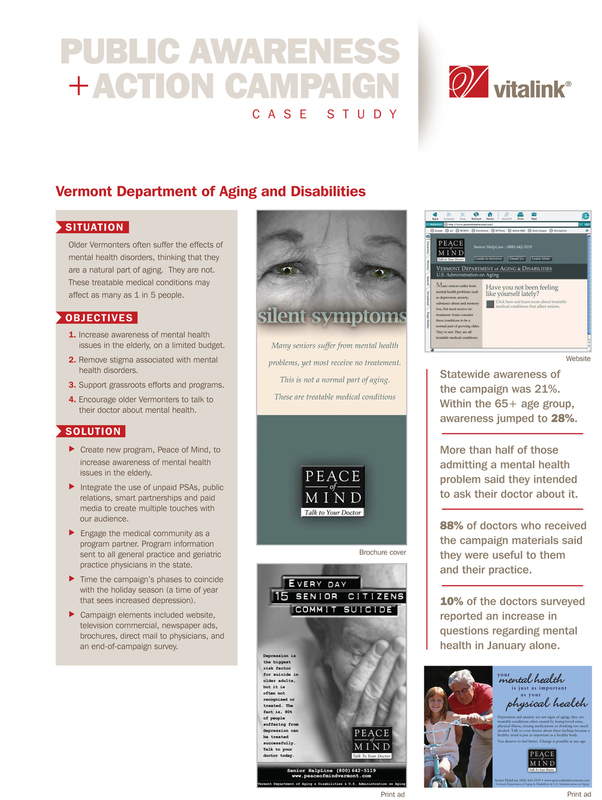 Our business is built on referrals, so we have many other case studies upon request. 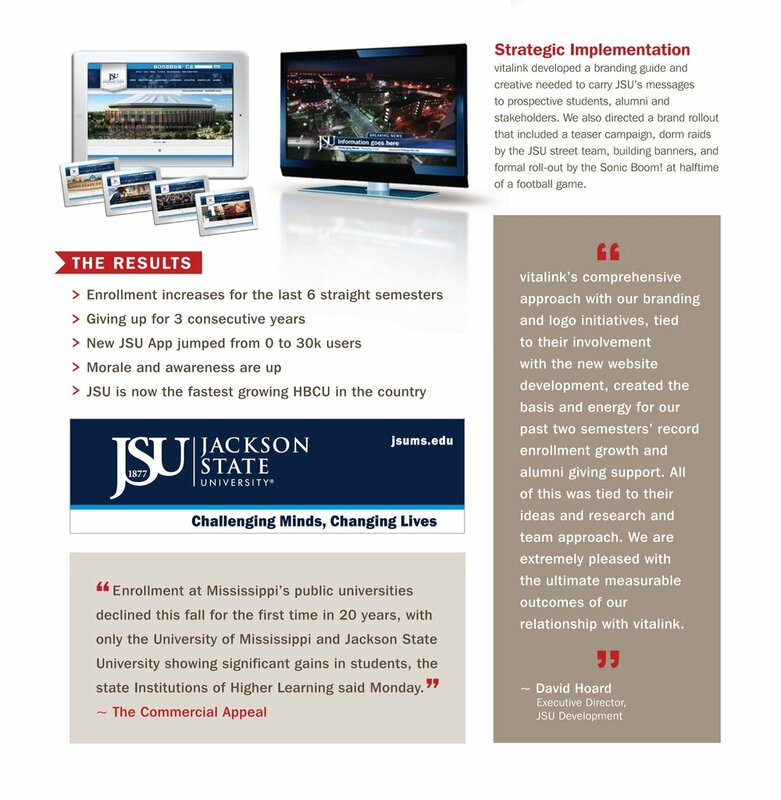 Jackson State University revitalized their brand, resulting in record enrollment + alumni giving. 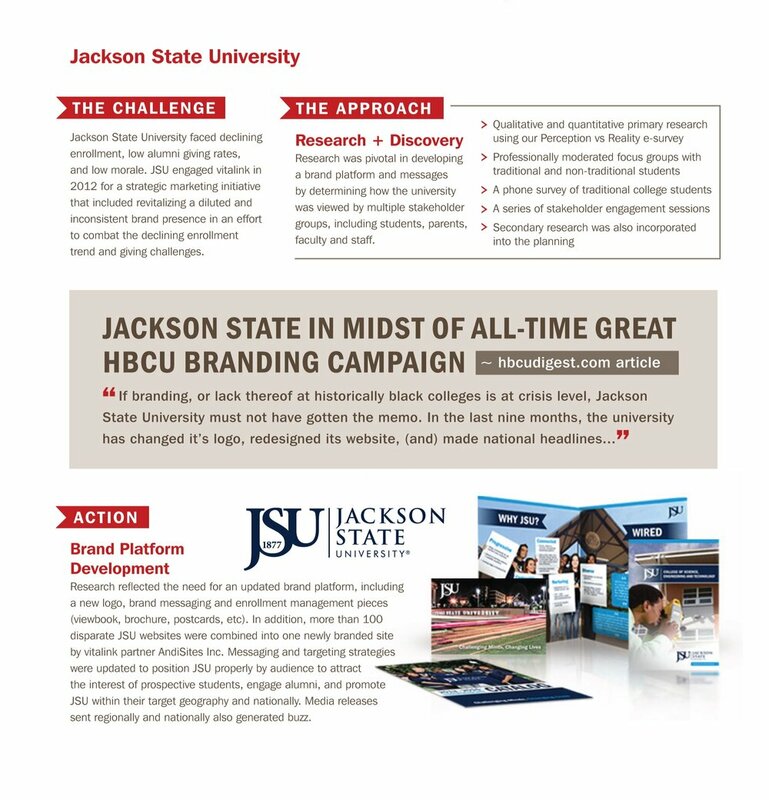 JSU worked with vitalink, using its time-tested, five-phase brand vitalization process, to rebrand the historic HBCU. Where do you want your brand to take you? Fill out the fields below to start a conversation or call 919.850.0605 to speak with a human. 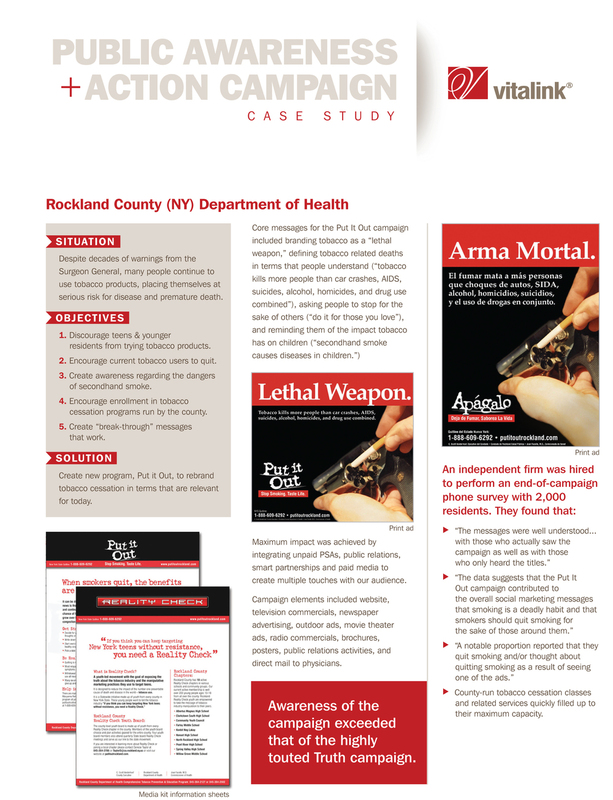 Thank you for your interest in vitalink! We'll get back with you shortly. If you'd prefer to speak with a human, please call 919.850.0605.